Time after time we are told that ‘Europe’ simply isn’t high on the list of people’s concerns. But when you look at the issues people do want dealt with you can see the influence of the European Union. From immigration and housing to fishing and agriculture, what light bulbs you can use and university places and fees, the EU has had a part to play in the situation we now have. 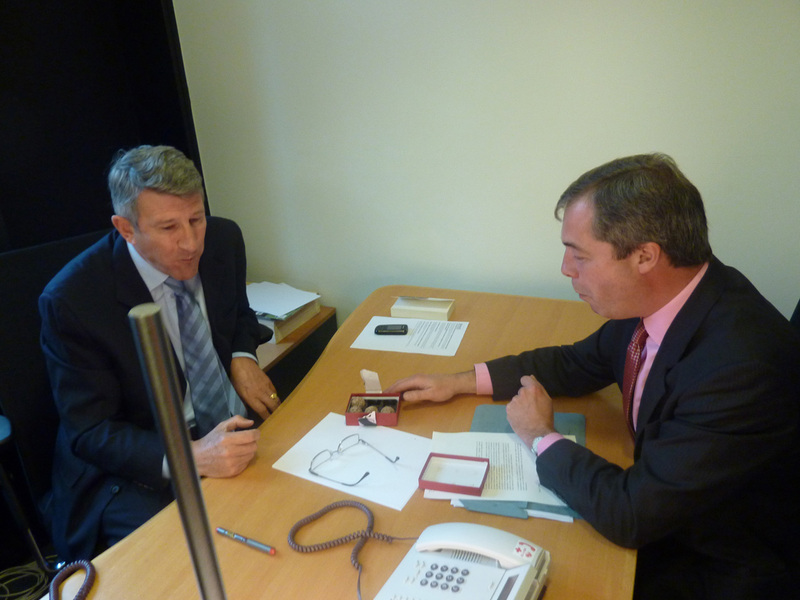 Whilst I was leader of UKIP, I have always been first and foremost a constituency MEP. I was elected by the people of the South East counties and I am available if you need help or have any questions. Below are examples of people who have had their lives directly affected by the EU. Local chocolatiers Cocoa Loco were contacted by the Committee of the Region of Champagne who believed that they should stop using the term for their champagne truffles. The company had been using genuine champagne from Reims in their products and contacted me to see if I could help them. The letter was permitted because of the EU Directive on the Country of Origin of certain foodstuffs but the law had, I felt, been used against a small company against the idea of the original directive. I lobbied French MEPs to assist me in changing the mind of the Committee, CIVC, and allow this West Sussex company to continue unhindered by yet another EU law. I am delighted to attach a copy of a letter, received today from CIVC. We would both like to thank you for your excellent, proactive support in this matter…and wanted to share the good news. ‘Despite being a qualified refrigeration and air conditioning engineer since 1982 unless I have an EU safety certificate, I am unable to work. To work with refrigerants, which are an essential part of my job, I need a certificate which last year cost me in the region on £2000 despite having worked with them since 1979. On top of this, should I want to work on vehicles, I would have to spend another £200 or so to take a course which will provide me with an inferior qualification but which will have the correct number on it. I can have two vans outside: same make, same model. One I can (legally) repair and one I can’t, even though BOTH refrigeration systems are driven from the engine. The difference is, one vehicles refrigeration system cools the cargo compartment and the other cools the passenger compartment. I am not permitted to work on the latter, as the certificate I have doesn’t have the correct number on it! This all means additional costs in money and time for the small businessman which cannot absorb the costs in the way large companies can. Once again the EU has made life more difficult for those of us who want to contribute to the British economy because of ill thought out laws made by civil servants. People who wish to keep their PSV licences (i.e. licences to drive a bus or a coach commercially) after September 2013 have to have done at least 35 hours of ‘training’, or 7 hours a year for the five years 2008 to 2013. I have such a licence which I obtained and keep as a hobby (I drive and operate vintage buses and coaches). As such I do around 20 hours of driving per year. So I have to do 7 hours training to drive around 20 hours per year. The problem is that training is merely sitting in a classroom and being told things that I already knew or was of no direct relevance to me, but I knew where I could obtain that information if I needed it. There is no test, no pass or fail and I cannot just take a, say, 2 hour test to show that I know those items. I just have to sit there and waste 35 hours of my time and pay £270. This is called Driver’s CPC (Certificate of Professional Competence) Periodic Training.